I was blessed reading Mark’s Gospel this week. The above verse from Mark chapter 3 jumped out at me as often happens when reading the Living and Active Word of God! “He looked at those seated in a circle around him…” Just before this, the enemies of Jesus were saying He was possessed. He was under attack. And here he was in a prayer circle. What a picture! The Savior of the World in the center of a circle of His disciples. There is strength and power and comfort and peace in a prayer circle! We, as promised, are also under attack. We have our individual battles and we have our church battles. The answer? A prayer circle! Good news! We have one every Wednesday evening at 6:30 followed by a 30-minute Bible study. Please come join us! It is important we pray together during this time. Verse 35 tells us about our family. Whoever does God’s will is His brother and sister and mother. And we are his brothers and sisters (Hebrews 2:11 Both the one who makes people holy and those who are made holy are of the same family. So Jesus is not ashamed to call them brothers and sisters) that means anyone who does God’s will is our family! What is God’s ultimate will? The ultimate will of the Father is that we love, trust, and obey His Son! Church, we are indeed the Family of God! We begin our Easter celebration in a few weeks. I am looking forward to focusing on the life, crucifixion, burial, and resurrection of Jesus Christ. Good Friday, April 19th at 7 pm, will be a special time of reflection ending with Communion. One cannot get to Easter without going through Good Friday. At Sunrise on Easter morning, April 21st at 7 am we will meet for our annual Sunrise Service. We will proclaim the resurrection! He is Risen! He is Risen, indeed! There will be only one worship service at 10:30 am. Please plan to attend and invite your friends and family to come to hear the Good News of the Resurrection!! Buckle-up! We are in for a bit of a ride. We’ve been expecting the construction on Hwy 146 for many years. It is upon us! 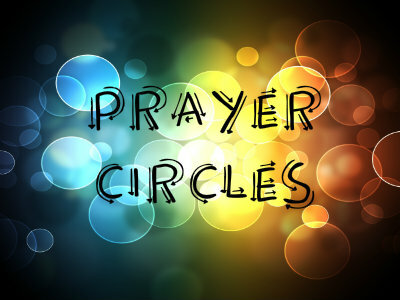 We will be fine, and even grow through this period if we keep in mind our need for prayer and be part of the circle around Jesus! We can support each other through this by remembering that we are, indeed, family!